Known mostly as pastor of the city church in Wittenberg during the spread of the Reformation and as Luther’s own father confessor, Johannes Bugenhagen played a significant role in translating early Protestant theology into actual church practice. A humanist rather than a theologian, Bugenhagen accepted the Reformation and became instrumental in its propagation and organization until his death in 1558. During his time at Wittenberg, he would draft church orders for numerous cities and would personally assist in implementing reforms in both his native Pomerania and in Denmark. He also remained a close confidant of Luther and Melanchthon, marrying Luther to Katherine von Bora in 1525 and later preaching at his funeral in 1546. Bugenhagen (or Pomeranus, as he was known using his Latinized name) was born in 1485 in Wollin, Pomerania. Little is known of his early life. He matriculated at the university in Greifswald to study classics in 1502, then in 1504 became rector at Treptow. He was ordained as a priest in 1509 and later appointed to a lectureship at the Premonstratensian monastery in Belbuck. Prior to his arrival at Belbuck, Bugenhagen had come under the influence of Erasmus and the humanist approach to Scripture, and it was during his years there that he began plying his humanist wares. First, in 1518 he compiled a history of Pomerania at the request of the reigning duke (which was not published until the eighteenth century). Second, his study of Scripture caused him to embrace many of the early Reformation ideas, eventually leading him to begin a fateful correspondence with Luther. By 1520, Bugenhagen had written to Luther for spiritual guidance and received from the Wittenberg reformer a copy of his 1520 treatise, Freedom of a Christian. Bugenhagen eventually accepted the Reformation and in April 1521 left Belbuck for Wittenberg to study theology. Since Luther was soon to be hidden in the Wartburg after the Diet of Worms, the new arrival spent the majority of his time studying with Melanchthon, with whom he also lodged. Due to his lack of academic rank, Bugenhagen lectured privately on the Psalms and letters of St. Paul. In 1523, he was named pastor of the Wittenberg city church, St. Mary, where he would serve until his death. He finally earned his doctor’s degree in theology from Wittenberg in 1533, and in the succeeding years his pastorate was linked with the fourth chair of theology at Wittenberg, where he continued to lecture on Scripture. During the years immediately following the Diet of Worms, Bugenhagen began to play an increasingly prominent role in Wittenberg. In 1522, he was the first of all the Wittenberg reformers to marry. His marriage, however, stood in the way of a pastoral call he received to Hamburg, as the Hamburg city council rescinded the call upon finding out that he was married. He would officiate Luther’s own wedding in 1525 and defended the reformer’s right to do so in print. He took Luther’s side again in the disputes with Johann Agricola over Christian freedom. Bugenhagen also stood at the forefront of the early Eucharistic controversies with the South German and Swiss reformers. In 1525, he was the first of the Wittenberg reformers to oppose Zwingli’s teaching on the Eucharist. Over a decade later, he would aid Luther and Melanchthon in reaching agreement on the controversial doctrine with Martin Bucer and the South German contingent at the 1536 Marburg Colloquy. As a humanist biblical scholar, Bugenhagen devoted most of his intellectual energy to lecturing on Scripture. He would publish a number of commentaries in subsequent years. His most famous, a 1524 commentary on the Psalms, grew out of his early lectures at Wittenberg and went through numerous printings. His other commentaries included the minor letters of Paul (published 1525), Romans (1527), the Gospel of Matthew (1543), Jeremiah (1546), and Jonah (1550). Two other contributions to the Protestant use of Scripture were notable. In 1524, Bugenhagen transposed Luther’s German New Testament into Low German—ahead of the publication of Luther’s own version—and his reading would become popular and widely printed. He also composed a harmony of the passion narrative drawn from the four Gospels. He had begun the task as early as 1519 at Belbuck, but he would resume it again in 1522 at Wittenberg and see it through to publication in 1524. The harmony became enormously influential in Protestant private and corporate devotion through the centuries. Bugenhagen’s most significant contribution to the Reformation undoubtedly resulted from his role as a church administrator. As pastor of the Wittenberg city church, he had joined Luther and Melanchthon in the Saxon visitations of 1527–28, and he subsequently became a highly sought after candidate for bureaucratic posts throughout the newly reformed churches. In 1533, he was named superintendent for the district east of the Elbe River, acting functionally as its bishop. He in fact later turned down offers to become bishop of both Schleswig in 1541 and Cammin in 1543. Bugenhagen’s talents in ecclesiastical administration were employed elsewhere to establish the Reformation in new lands. He was invited by the Pomeranian dukes, Philipp II and Barnim XI, to begin reforms in his native land in 1534–35. Later, in 1537, he began reform in Denmark. He would crown a Protestant, Christian III, as prince in September of that year, and for his contributions was offered a professorship at Copenhagen (which he ultimately declined). In the course of his administrative efforts, Bugenhagen was called upon to compose church orders (Kirchenordnungen) that would govern various aspects of ecclesiastical and civil life in the reformed territories. The first of these orders was drafted for Braunschweig (1528), but others would follow in Hamburg (1529), Lübeck (1531), Pomerania (1534), Denmark (1537), Holstein (1542), Braunschweig-Wolfenbüttel (1543), and Hildesheim (1544). Bugenhagen’s orders generally followed the Lutheran principle of freedom in matters of adiaphora, which enabled him to adapt the rites to local custom, but also embodied the core theological features of early Lutheranism. The orders themselves extended beyond liturgical rites to include regulations for schools, recommendations for the care of the indigent, and specific instructions for the reform of the clergy, and they became templates for the composition of new Kirchenordnungen in other Protestant territories. 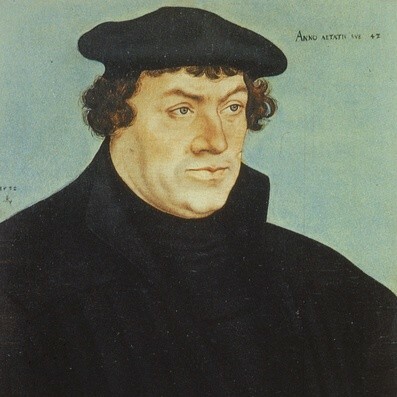 On February 22, 1546, Bugenhagen preached the funeral sermon for his longtime friend and ally in reform, Luther. The final years of his life were spent largely marginalized within the confessional struggles associated with the interims of 1548 and the warfare that preceded and followed them. He took sides with his colleague, Melanchthon, against the Gnesio-Lutherans of Magdeburg, and found himself suspected of theological compromise. He died April 20, 1558, in Wittenberg, and was buried under the altar at the Wittenberg city church where he had served for 35 years.